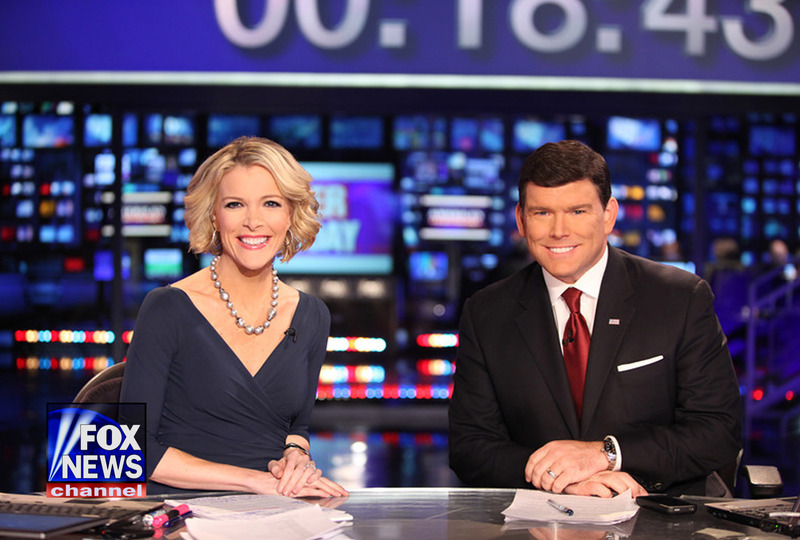 Bret Baier and Megyn Kelly will co-anchor “America’s Election HQ,” FOX News Channel’s November 4 midterm election night coverage starting at 6 pm. Bill Hemmer will operate the network’s electronic “Bill-board” with Martha MacCallum focused on exit poll data. Also slated for camera time: senior political analyst Brit Hume, “FOX News Sunday” host Chris Wallace, White House correspondent Ed Henry, chief Congressional correspondent Mike Emanuel, and contributors Bob Beckel, Stephen Hayes, Charles Krauthammer, Dana Perino, Kirsten Powers, Karl Rove, Joe Trippi, George Will, and Juan Williams. And outside of New York and Washington, several FOX News Channel correspondents will hit the road, with Alicia Acuna in Colorado, Shannon Bream in Iowa, Carl Cameron in Kentucky, Molly Line in New Hampshire, James Rosen in Kansas, John Roberts in Louisiana, Dan Springer in Alaska, and Mike Tobin in Wisconsin. At foxnews.com from 9 – 11 pm, the network will live stream “The Strategy Room” with Eric Bolling, Jedidiah Bilah, Harris Faulkner, Lisa “Kennedy” Montgomery, and Andrea Tantaros. FOX News Radio’s Lisa Brady and FNC’s Kelly Wright will co-anchor coverage on FOX News Radio from 6 pm – 2 am. And FNC contributor Rick Sanchez will lead coverage for FOX News Latino to be live streamed from 9 – 11 pm.